Trimble® Point Creator for CAD and Revit® (TPC) was designed for the engineer or building construction contractor utilizing Revit or CAD and needing the ability to easily create 2D and 3D field points within their preferred design file. With the continued push of utilizing BIM practices for cost savings, overall efficiency, and project data collaboration, TPC for CAD and Revit is the solution. Working as a plugin within CAD and Revit, Trimble Point Creator provides fluid creation of field points for such objects as anchor bolt locations, curtain wall attachments, and hanger or sleeve locations via intuitive, auto-insert point creation wizards. These point creation wizards allow for faster implementation and utilization throughout any organization already familiar with CAD or Revit design platforms. Once points are created within TPC, they can be easily exported to Trimble Construction Layout Solutions like Trimble® Field Link for easy stake-out in the field. 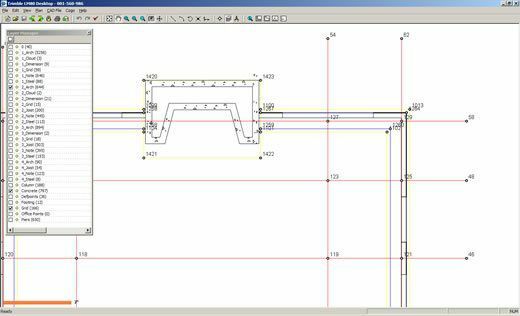 This connection allows users to bridge the gap between the design process and work executed in the field while maintaining connections to existing BIM workflows.